A Northampton park has welcomed seven new trees along its paths with the help of a volunteer group. Walking in Becket's Park will be that much lovelier in the future with the new saplings taking root. Seven new trees have been added to Becket's Park through a volunteer effort by the Buddies of Beckets. The new trees include two 'Sweet Gums', two Red Oaks, two Fastigate Oaks and a Tulip Tree. 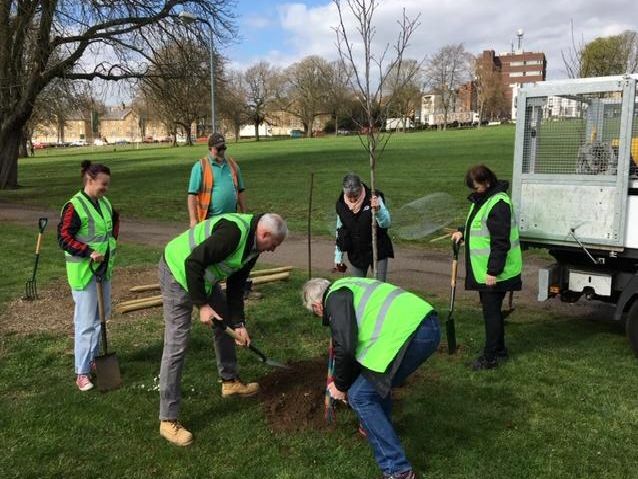 Chair of Buddies of Beckets Nick Stephens said: "It was fun to help with the planting of new trees in the park. They all look fantastic and have already added to the overall look of the park." Nick said: "Our thanks to idverde, the park contractors, for supplying seven young trees to Beckets Park."